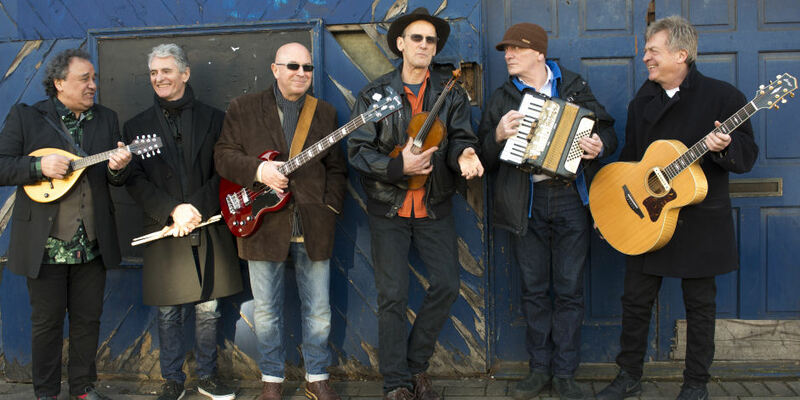 Slim Chance is a tight band of good friends, which has evolved around three original members of Ronnie’s band – Steve Bingham, Charlie Hart and Steve Simpson. They are now regularly joined by Brendan O’Neill, Billy Nicholls, and Geraint Watkins, and together they deliver a unique and entertaining show, both joyous and of a high musical calibre. The Slim Chance extended family consists of a host of wonderful musicians whose contributions will always be greatly appreciated: Jim Cregan, Colin Davey, Alun Davies, Des Horsfall, Malcolm Hoskins, John Lingwood, Frank Mead, Nick Pentelow, Jim Russell, James Walbourne and Graham Walker. STEVE SIMPSON vocals, guitar, mandolin and fiddle, has worked with Frankie Miller, Eric Bibb, Roger Chapman, and played on Ronnie Lane’s Slim Chance, One for the Road and See Me. CHARLIE HART vocals, fiddle, accordion and keys, has played with Pete Brown, Ian Dury, Eric Clapton and worked on Ronnie Lane’s Slim Chance, One for the Road, Rough Mix, See Me, Rockpalast. GERAINT WATKINS vocals and keys has played with Carl Perkins, Nick Lowe, Van Morrison, released his own albums and joined Slim Chance for the 2004 Ronnie Lane Albert Hall concert. BRENDAN O’NEILL, drums, has worked with Rory Gallagher, Nine Below Zero, Glen Tillbrook to mention a few. Brendan knew Steve Mariott and is highly respected for his all round musicianship. BILLY NICHOLLS, vocals, mandolin and acoustic guitar, knew Ronnie well as he and the Small Faces played on each other’s records back in the Sixties. Since that time Billy has been a prolific and successful songwriter and singer and has also worked extensively with The Who.